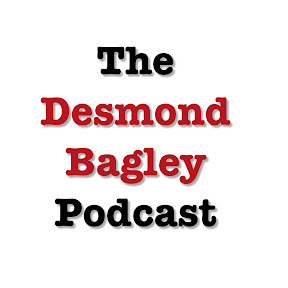 I hope you might have all noticed that my old mucker Nigel Alefounder over at desmondbagley.co.uk has been putting out some pretty excellent podcasts lately. Well the good news is that they are now available via iTunes, so it’s very easy to subscribe and currently five episodes are available. The first is an introduction to Desmond Bagley, which describes his early life and journey from the UK to South Africa. In the second podcast, ‘Background Research’, Nigel takes a brief look at Bagley’s early research techniques and his return to the UK after the success of his first novel The Golden Keel. The third podcast, ‘The Writing Process’, takes a look at how the author wrote his novels, with the fourth podcast ‘The Silver Screen’ exploring the film and television adaptations of the author’s work. The fifth podcast, ‘The Golden Keel – Where it all started’, explores the background to Bagley’s very first published novel. This podcast is the first of sixteen, which will detail some of the background to all of Bagley’s novels, which are due for individual re-issue by HarperCollins throughout 2017. Skilfully narrated these podcasts are definitely worth a listen and are full of interesting facts about Bagley and his novels. The podcasts are free and for those iTunes users it’s worth subscribing, for those without iTunes the podcasts are available on Nigel’s own website here. Why not go and have a listen! iTunes subscription link here.